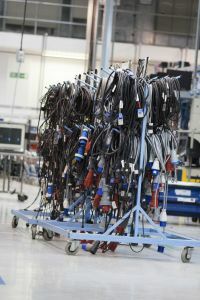 We provide the highest quality solutions for customers looking for bespoke cable and harness assembly. We are equipped to deal with low, medium and high volume batch sizes. As with all of our services, you have access to our global coverage and extensive knowledge across our vertically integrated solutions. Our standards are high: we manufacture wire harnesses for the automotive industry under IATF 16949. As well as working with a wide variety of cable types, we have significant experience in the Laser Welding of terminals as well as using our plastics knowledge to provide Overmolding solutions. We use a wide range of cable types including Co-axial, Semi-Rigid, Flat Ribbon and Video.